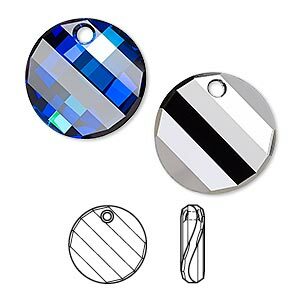 Component, Swarovski® crystals, crystal Bermuda blue P, 25mm faceted round disk pendant (6039). Sold individually. Item Number: H20-A3768CY Have a question about this item? 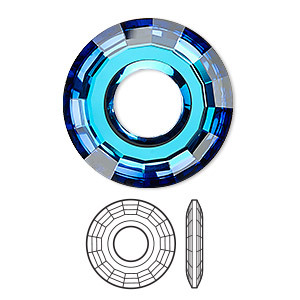 Feel the enticement of the tropics with the captivating crystal Bermuda blue disk from Swarovski. 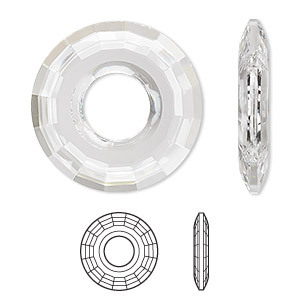 The crystal changes color at each angle--from brilliant blue to alluring sea green and is precision beveled and faceted to enhance the color and flash. The "P" in the color name stands for "Protective Layer," which is a lacquer system applied over the crystal Bermuda blue effect. The lacquer is designed to protect the effects from scratches, fingerprints and other damage and also helps to prevent moisture that can lead to corrosion (example: from perspiration). 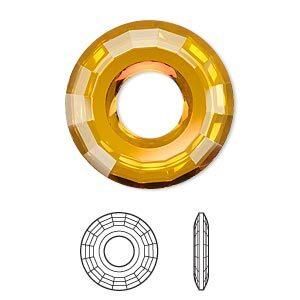 Discs are side faceted for excellent reflection. 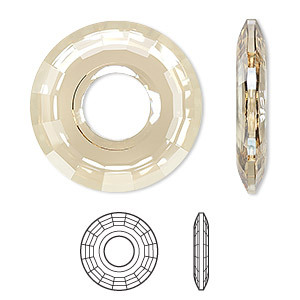 Swarovski crystal components make great necklace pendants or light catchers. Achieve a simple, timeless effect from such a classic design. 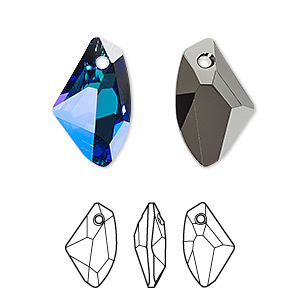 Use a thin chain or connect multiple drops using colored crystal bicones to create a spectacular sparkle! 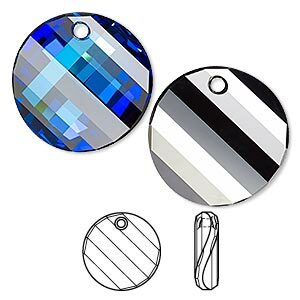 Component, Swarovski® crystals, crystal Bermuda blue P, 25mm faceted round disk pendant (6039). Sold per pkg of 24.